Kāttirunna kaṇṇukaḷ. Tiruvalla, Christian Literature Society, Malayalam Branch . From the University of Chicago Library. Google translates this title as “Waiting for the eyes”? How great is this lettering? Very narrow, and almost italic in a way, due to that interesting motion happening at the top and bottom of each stroke… mesmerizing! I very much like the subtle indentation for the രു combo. 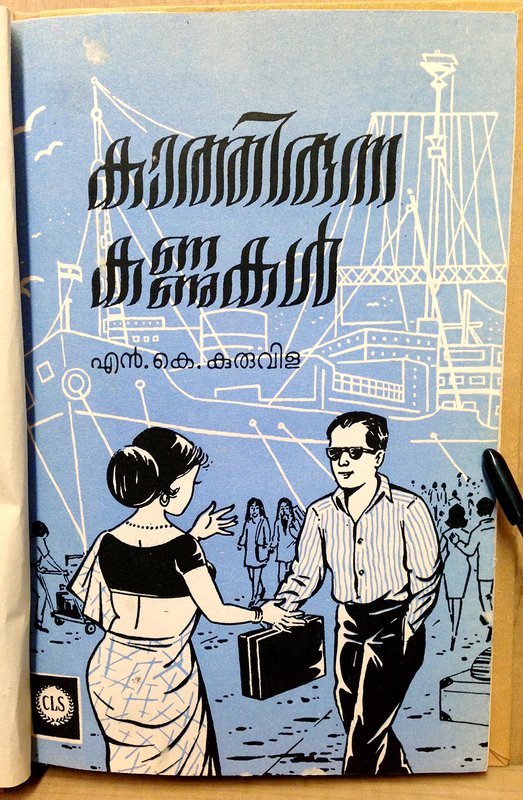 Also worth mentioning: as with most of these older Malayalam book covers, the pre-script reform constructions are used, which is why the typed transliteration looks different from the cover lettering.